When taking into account the follow-on questions around fees, maintenance, whether you can sleep in them, rental opportunity, this is not a straightforward question to answer (despite now owning several beach huts!). When you consider everyone has a different budget in mind, a different idea of what they actually want from a day at the seaside and their own family preferences – this is a big decision for anyone to make. However, there are a few do’s and dont’s that you should consider when looking to secure that beach hut sale and I have outlined what I think these are in this blog. I hope you find it helpful and happy beach hut hunting!! Do think carefully about Budget. You need to have an idea of the maximum amount of money you will be willing to spend. You should think about this both in terms of the upfront purchase, costs to bring the hut up to your own standards, contents and also ongoing costs. I’d recommend spending as much as you can do taking into account your preferences re location. If you are going to be spending thousands of pounds on a beach hut, wouldn’t it be annoying to purchase one then not have enough funds to ensure it’s weather and security proof as well as decorating to a standard that you wish? These additional costs can vary from a repaint (approx £250) to significant renovations of a few thousand pounds and will vary by each beach hut. The beach hut itself can cost anything from £6k through to the dizzy heights of £245k in Mudeford. The position and location of the beach hut predominantly drive prices and thus just like a house purchase you need to do your research. In Essex alone, just one corner separates Walton huts which currently sell from £6k to £20k from those classed as Frinton (the Leas) starting at £20k. If you go further up the coast, you can find huts for sale in Dovercourt averaging around £6k, whilst Brightlingsea and Mersea start around £20k too. 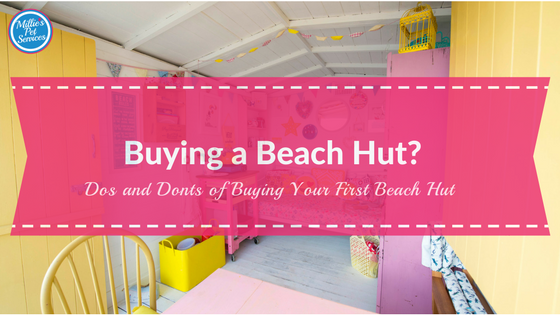 If you are struggling with why Beach Huts are expensive and the range, then I’ve talked about this in more detail in one of my blogs Why are beach huts expensive to buy?. One final one-off cost to budget for is the transfer fee. Don’t forget that many councils charge for the change in ownership (Tendering Council charges £360) and thus do look up the charge for this in advance. It’s standard practice for the buyer to pay this fee but do ask the seller if this is included in the price advertised for clarity. Yearly Licence Fee – this is a yearly fee payable to either a private site owner and/or council. This can be subject to increases though most councils have the rate on their websites. I currently pay £400 per year to Tendering District Council for each of my three beach huts. Note this did rise significantly from the prior year and is open to change. Business Rates – you may be able to claim small business relief if you have no other business property but again ask the current owners how much this is. For the two huts, I can’t claim relief on this is approx £115 each per year. Insurance (Build and Contents) – you do need to consider vandalism risk and I found myself googling Walton Beach Hut vandalism to get a feel for local news and reports of vandalism. Do also consider the risk of flooding and storm damage – a quick google will also aid and give you some history during recent winter storms. Get a few quotes for both contents and building (if you are planning to rent you’ll need public liability insurance too). I currently have two beach hut insured by Insure Homes Limited and a third by Love Your Hut. After much negotiation, all of these are approx £170 each per year, including public liability. Whilst I’ve reviewed all beach hut insurers individually, do have a look at The Best Beach Hut Insurance Companies in the UK (Reviews/Ratings) to get a feel of what to expect and who to shop around with. I’d also recommend joining your local beach hut association who sometimes include patrolling within their yearly fee (Walton’s charge £5 per year) and also a great source of advice on all things hut related! Repainting and General Upkeep – whilst there are some great paints now available (like Sadolin which can last up to 8 years), I’d budget for a repaint every 3 years to be safe. This will cover you for internal and/or external repaints and allow a small contingency for small jobs only. Whilst I have Mark from Ten Hut Ltd who takes care of all my maintenance (circa £150-£250 depending on build and internal/external), you may be happy to do this yourself and merely consider the cost of exterior and interior paint. Capital Gains Tax – do consider any liability which may be incurred if you decide to sell up in the future. You can find the latest guidance on the HMRC website. You may wish to consider hiring out your hut occasionally to help with covering the above yearly fees. 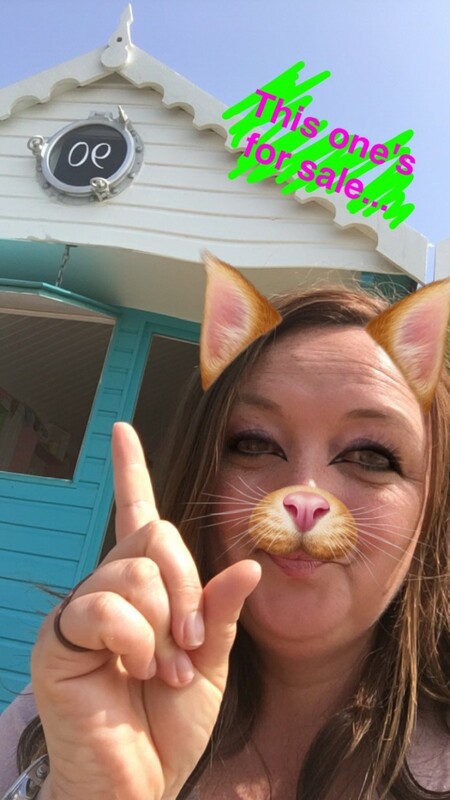 This is such a big subject and thus if you are considering hiring out your beach hut, then you can read my15 Tips to Get Your Beach Hut Hire Off The Ground. Not surprisingly this is a subject close to my heart. One of my biggest considerations when buying a beach hut was the total journey time from home during peak traffic. At around 40 minutes, I felt this was the maximum I’d be willing to travel – enough to feel as if we’ve had a day out and away from the stresses of home. However, it is also close enough that if anything ever happened, or I just wanted to spend a few hours out, that I wouldn’t be put off by the journey. I loved being able to pack up the car early and be down at the hut for 7am – bacon sandwich, a cup of tea and the quietest time on the site with the beach to myself and Millie! A quality fish and chip shop (yes I did research a few on visits!). Facilities for a rainy day – are you looking for a quiet sleepy location or a coastal town with a pier, amusements etc to give some options on those rainy days? Dog restrictions – this was a big factor in my purchase with Walton allowing dogs all year round on the beach (off lead!). Many councils allow owners to hire out their beach huts within their terms and conditions (and owners looking to recover fees). I’m one of those! I’d always suggest hiring a beach hut so that you can experience a full day in a beach hut. That way you can have a look at styles, check out neighbouring owners and the beach itself. Just like buying a house, do take the time to visit at all times of they day and maybe invite some friends to one too. You can then get a feel for the size of huts and local facilities too. We’ve reviewed the best of Essex’s beach huts to hire in our last blog here and you can find all the details on how to find a beach hut hire company here. As mentioned above I now use Ten Huts Ltd who cover the Essex area. 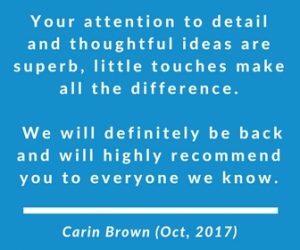 I have found both quality and prices can vary greatly between tradesmen and thus have always relied on recommendations. Your local beach hut association can normally help or pop into the UK Beach Hut Owners Facebook Group. If you are a DIY enthusiast or just looking to stamp your own style on a beach hut, then go for a hut that does need some work. All three of my beach huts needed significant work both to the buildings themselves and decor. It was hard work but I love that they are immediately recognised as a Millie’s Beach Hut. You can find all the details for each of my own beach huts below. This may help give you a feel of the level of work that went into each post purchase. Make sure you research the terms and conditions. Some sites prohibit rental and others have strict rules re times of occupancy and licence terms. It’s also quite rare to find sites that allow sleeping overnight. In particular, for those that are council based, make sure you understand what you can and can’t do around the vicinity of your hut (e.g anchoring roof points). Do contact a solicitor if you are unsure of any of these conditions. However, many beach huts trade hands without making it onto the web. In the past, I’ve spotted some that merely had a For Sale sign on the door. It was further back from the promenade and you wouldn’t naturally spot this. I only discovered the hut due to making an effort to walk all the rows and this isn’t unusual. Beach Huts are still a little backwards in terms of advertising and I know how frustrating that it can be. You may have to visit often and work hard to find your ideal beach hut. Another option, if you have a firm view re the desired location of your beach hut, is to contact the local beach hut association chair. They tend to be in the know, even if they don’t keep a list or can post on their facebook group. You could also consider putting a flyer under beach huts doors with your own contact details and/or placing ads in local shops and cafes. Local estate agents may also be able to help (search on Rightmove) as they did when I purchased Harley. Finally, I’d also recommend placing a wanted post in the Facebook group for UK Beach Hut Owners. The group is growing and it is the only dedicated group just for owners. Pop in and let us know where you are searching and we may be able to help and provide some advice. It’s no surprise that after using a beach hut during the summer, I always end up with customers asking if I know of beach huts for sale. At the same time, owners reflect on how little they’ve used their beach huts and contemplate selling. Sellers can sometimes to decide to hang on, thinking the price will be higher in the spring. Though another licence fee will soon be due and the cost of maintaining a beach hut over winter. On that basis, you may find that you’ll be able to secure a beach hut discounted at the start of the winter period. Whilst you won’t be able to get immediate joy for days out in the summer, I’m a huge fan of purchasing at this time of year. This gives you time to renovate, decorate whilst still enjoying Autumn sunshine with cocoa! The discounted values may also help with offsetting the future year’s licence fee. Over the last year, I’ve seen a number of huts for sale. All of which required work (something I’m not adverse to). However, each and every one had a little ‘niggle’ that didn’t quite feel right. I can only say one thing. It’s worth holding out!! I’ve never regretted holding out and am thrilled with the three beach huts I’ve opened this year. You need to be realistic that a wrong choice or rushed decision could result in your selling up in a short period of time. A costly decision. Trust your gut, it’s worth the wait! You’ll soon be sitting with a cuppa or glass of wine feeling very proud of your new addition to the family! Buying a beach hut is a big decision. I know, I know….. it’s a huge amount of capital and not quite the same as a January gym membership. You know that membership that you now feel guilty about not using? I understand how frustrating it is to make this decision. If you are really in doubt, you could consider joint ownership with a friend or family member to start with. This is a great way to help with financing a new beach hut. What I would say is that as someone who’s time was very limited due to a pressured and stressful day job, I personally made the time to visit. As soon as I get to any of our huts, I immediately feel the weight lifted off my shoulders. No matter what the weather is like, I can’t quite describe why I always feel refreshed and energised. I really can’t help but smile when I think of my huts and the memories they help create. That alone is worth it! Still undecided re buying a beach hut? You’ll have spotted that I’ve listed a number of different resources throughout the above article. However, you may want to quickly access all blogs for owners across a wider variety of subjects. The quickest way to access those that are relevant is to go to the BLOG section. From there just click on ‘Owners Resources’. It will filter on only those that are relevant to buying or owning a beach hut. I’m always adding to this frequently but do just pop a question into the comments if something is missing. Happy beach hut hunting! Really useful info for me as I’m just thinking about all these questions! Thanks! Very interesting page with some very good advise. We own a hut in Southwold and yes, we get the same kind of responses you mentioned , when we bought ours. Many thousands for a ‘shed’ !!! May well be the case but, we use ours aswll as rent it out and we are only a few miles down the road. We love it and, frankly, it has been a solid investment to boot. Happy days !! Thanks Gerry .. I think people who get beach huts.. just get them! BUt those who haven’t yet experienced struggle to work out the ‘why’. As soon as they’ve spent a day at a beach hut … they do change their minds! Love the huts at Southwold.. you can see everyone cares about their huts and fab pier too! Hi loved reading your stories and advice.